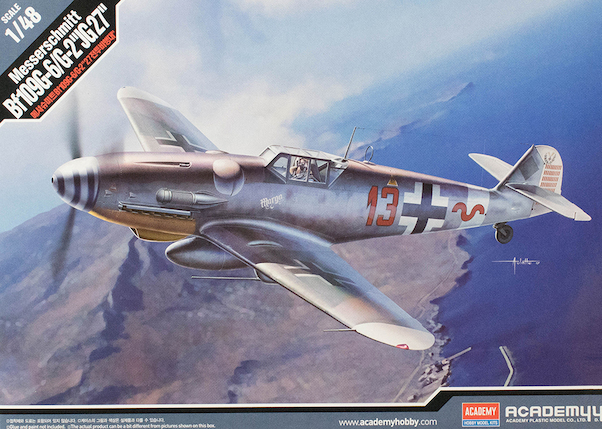 Academy has released this Bf 109G-6 previously in 1/48 scale and if this kit looks familiar, you've also seen it before in Hobbycraft boxes years ago. The kit is molded in light gray styrene and presented on three parts trees plus a single tree of clear parts. The parts all feature finely scribed surface detailing and no sign of flash. As with many kits in this series, the cockpit is Spartan and would benefit from an aftermarket set or at least some photo-etched seatbelt/shoulder harness. Assembly of this kit is very straightforward and makes for a quick project. The sheet is beautifully printed by Cartograf and also includes a complete set of airframe stencils.